Summary: Kurosaki Ichigo is a 15 year old boy that has an ability to see ghosts/spirits. Because of his ability, he is able to meet a female death god (a.k.a Shinigami) named Kuchiki Rukia. To save his family and friends from unwanted soul-eating spirits (Hollows), Rukia transfers her Shinigami powers to Ichigo. As Rukia takes on a human shell, together they solve mysteries involving spirits and hollows until from the spirit world comes 2 other shinigamis explaining that it is illegal to transfer Shinigami powers to humans and Rukia exceeded the time limit to stay in the human world. After they sentence her death for breaking the laws, Ichigo snaps and swears to everyone he will retrieve Rukia by breaking into the spirit world. Bleach episode 322 : Clash! Rukia vs. Rukia! Bleach episode 317 : Gotei 13 Invading Army Arc! Unusual Incident in Seireitei! Bleach episode 80 : Assault from a Formidable Enemy! A Tiny Final Line of Defense?! Bleach episode 70 : Rukia's Return! Revival of the Substitute Team! Bleach episode 64 : New School Term, Renji Has Come to the Material World?! Bleach episode 54 : An Accomplished Oath! Get Back Rukia! Bleach episode 48 : Hitsugaya Roars! Bleach episode 45 : Overcome Your Limits! Bleach episode 44 : Ishida Ultimate Power! Bleach episode 42 : Yoruichi, Goddess of Flash, Dances! Bleach movie 3 - We're missing this chapter. If you have it, please upload it. 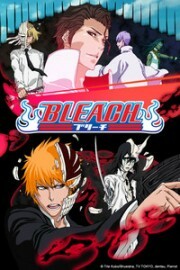 Bleach ova 3-9 - We're missing these chapters. If you have them, please upload them. Bleach special 8-11 - We're missing these chapters. If you have them, please upload them. Bleach special 6 - We're missing this chapter. If you have it, please upload it. Bleach special 4 - We're missing this chapter. If you have it, please upload it. Bleach special 3 : Bleach: Jump Festa 2008 Special - Karaburi! Gotei Juusan Yatai Daisakusen! Page generated in 0.096 seconds using 8 queries.